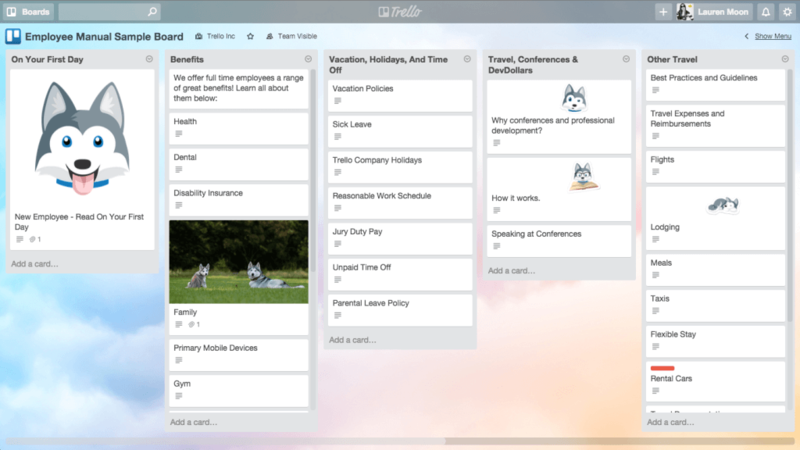 We hold these truths to be self evident: Not all Trello boards are created equal. Trello boards come in all shapes and sizes. Some are robust workflows, and some are just repositories of information. Some have a few cards, and some are bursting at the seams. It’s really all about what works for you and your particular initiative. But what if one of those cards is actually becoming a big project with lots of little individual steps in it? That’s when it’s probably time to break that task out into its own board. 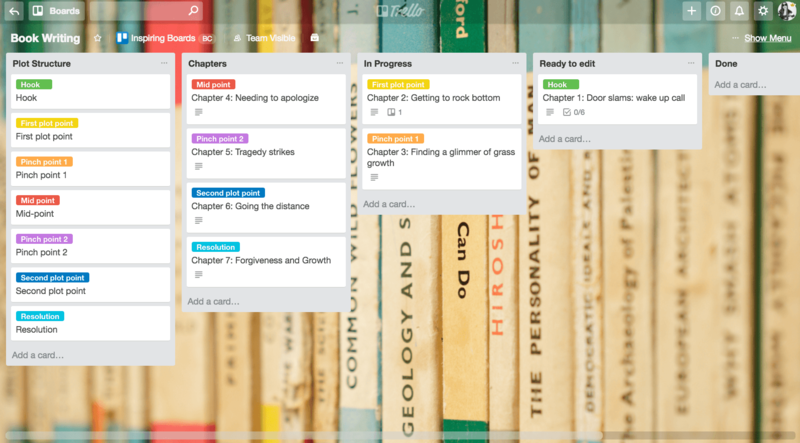 While your Book Writing board allows you to see the bigger picture of how the project is coming along, you can still add the little tasks you want to immediately accomplish to your To Do list board. For example, on your plate for the week could be “Edit Chapter 2.” That would be a little task on your To Do list board, but the bigger context of the project would be attached. 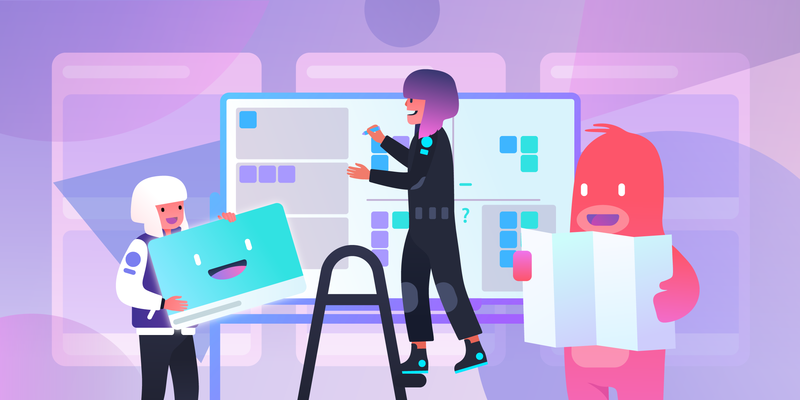 This workflow makes it easy to jump into the project board while still breaking down weekly tasks from your entire life on the day-to-day board. Sometimes you just need a board where you put things. These “things” can be resource links, instructions, or explanation docs. These Trello boards are effectively repositories of information. 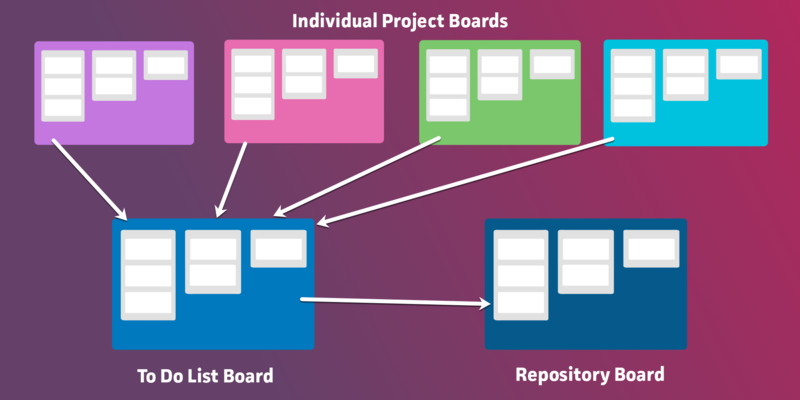 Think of repository boards kind of like encyclopedias: they’re a way to find reference material. All of the information on the cards are basically “Read Me” information, as well as links and attached documents. These kinds of boards are super handy to create so that no information gets lost, especially if you’re working on a team and have new people that need access to information. You can also copy others cards over from other boards once they’re complete. It’s common for cards to be in action for a while, but once they’re done you’d like to keep their information as a reference. You can do this by either copying the card over to another board, or just moving it over entirely. Continuing with the Book Writing theme, you could have a repository board that serves as your “planning phase” mood board before the project actually starts. Perhaps you’re dumping links, inspirational stories, or other resources you want to remember for when you actually start your book. Label colors. When you move a card from one board to another, it will keep its label color. FYI If the new board already has a label in that same color (with a different name), you will end up with two labels on the new board with the same color, but different names. Card covers are sticky. You will keep any card covers when moving a card between boards. You also keep card covers when copying an entire board. Notice about member removal. This is mostly the same as before. When you move a card from one board to another, any card members who are not members of the destination board will be removed. We now make a note in the activity of the card to tell you who was removed. Pro tip: If you want to retain members when moving cards, add those members to the destination board before you move the card. You can also Copy instead of Move. If you want to have the same card visible on multiple boards, you can choose to copy the card over instead. In this scenario, you might move the card to a "Done" or "Moved" on the first board, and then copy it into the next board's workflow. 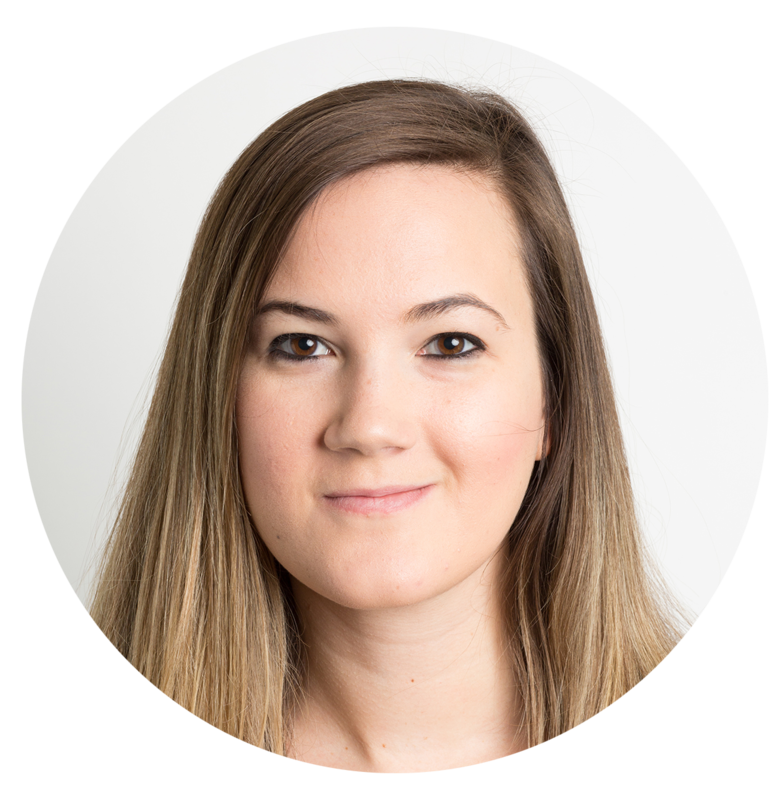 With copying, you can choose to keep or discard labels, attachments, comments and members. If you have a lot of repeated card movements from board to board, you don’t have to keep repeating these steps over and over. Allow robots to help with that! 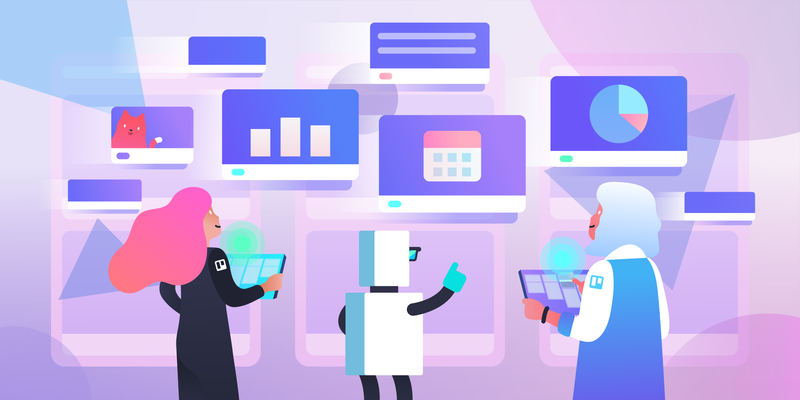 By using automated services like Butler or Zapier, you can set automated actions such as, “Every time a card is moved to the list titled ‘Done,’ automatically transfer that card to ‘Reference Board.’” This makes copying and moving Trello cards from board to board a total cinch. Card Repeater allows you to set a recurring card that will create itself at an interval of your choosing. For example, if you always do the same things every Monday morning to settle into the work week, you can set a card to appear on your To Do list to kick off your week with a checklist of those same items. Card Snooze is for those cards that have been laying around your To Do list for ages but you know you’re not getting to them right away. You can set a card to archive itself and return on another Monday (or another time interval), when perhaps you’re feeling more motivated (we get it). To activate one of these automation services, click “Menu” on the right side of your Trello board, then “Power-Ups” and search in the Power-Ups directory. 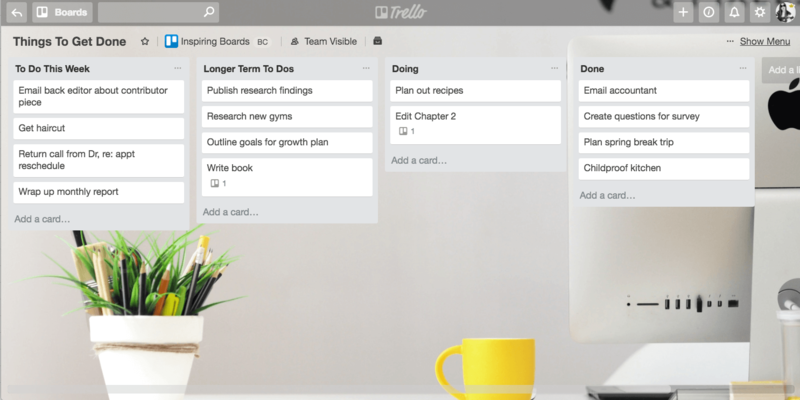 When it comes to Trello boards, maybe they're like potato chips: You can’t have just one. Or maybe it’s: Once you pop the fun don’t stop. 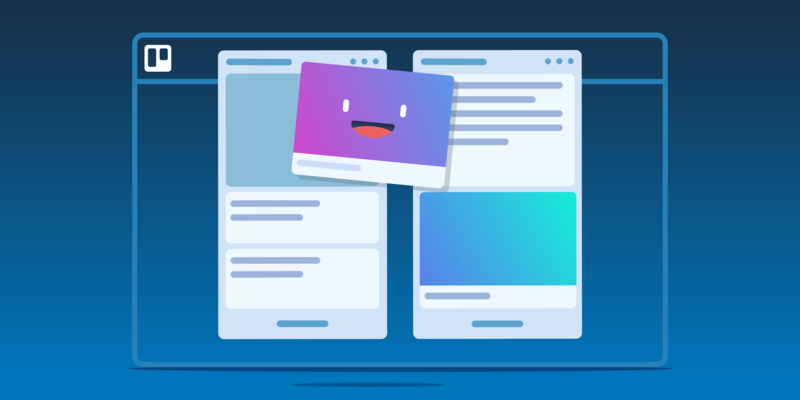 Either way, keeping Trello boards organized and flowing together is all about connecting them together in logical systems that make sense for you. How do you connect multiple Trello boards? Tell us about your workflow examples on Twitter @trello. Good or bad, we'd love to hear your thoughts. Find us on Twitter (@trello) or write in to support@trello.com.